Here are the best 10 outfits I managed to put together in 2011. These are the 10 that you, dear readers, liked the most – some of which were a big surprise to me. The difficult times of pregnancy: about 4 months pregnant in 7. 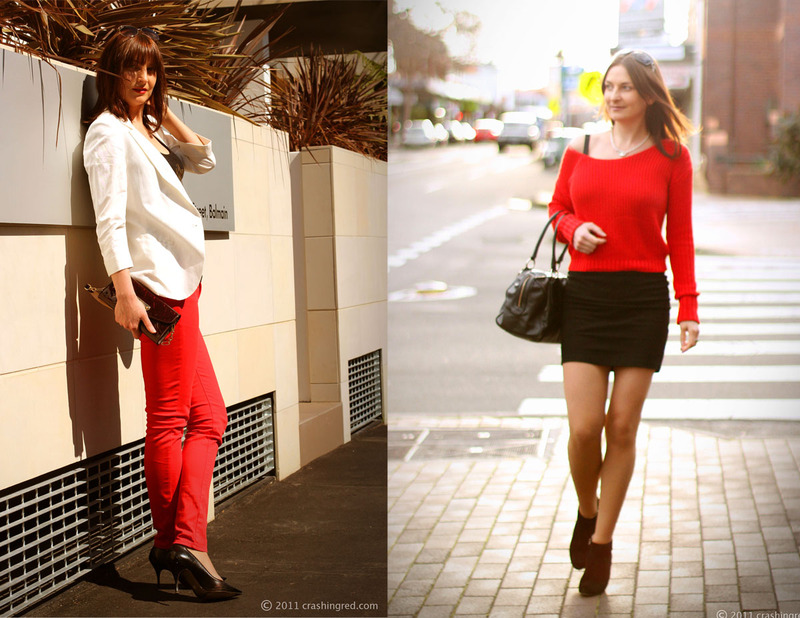 Black, white and red and over 8 months pregnant in 8. Outfit of the day: Comfort in style – it is surprising how much attention this post has received and is still receiving. Black and white: with a hint of retro spiced up with a story from my childhood in 9. Going art deco in XIX century and structured and sleek in 9. Goodbye shopping malls of Sydney. i love each of those outfits. that mixture of elegance and modern details is just the way someone inspires me. thanks for sharing those looks! you are amazing! it is so hard to pick one look you look fabulous in all photos!! have a lovely time during x-mas holidays dear!! My fav was the red top with black mini & the leather skirt with black shirt :) Damn you have some NICEEEE legs! 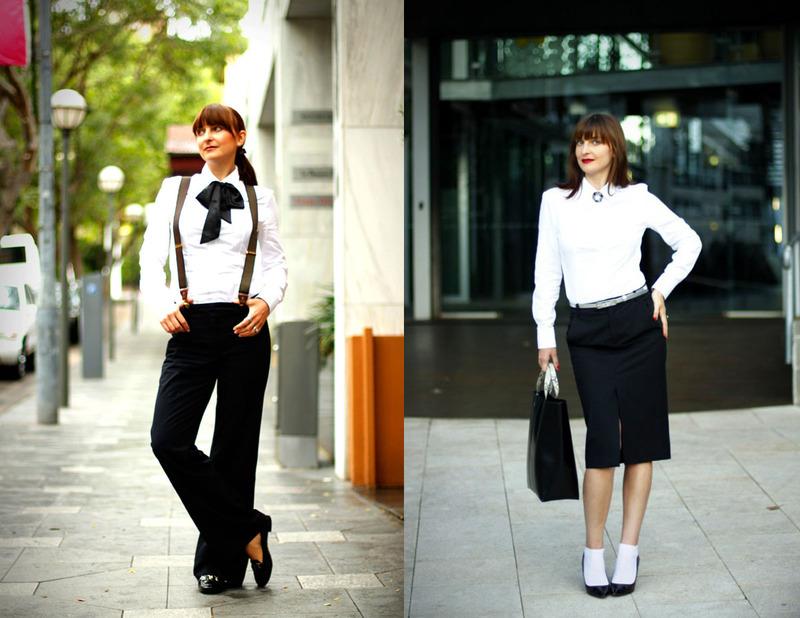 LOVE your take on masculine fashion – I think it’s the pants and suspenders..and shirt and bow! Love that outfit! I LOVE THAT FLOWER HEAD PIECE!! Hard to to choose but still love the Art Deco inspired outfit the most. They all look great though!